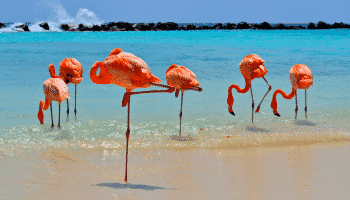 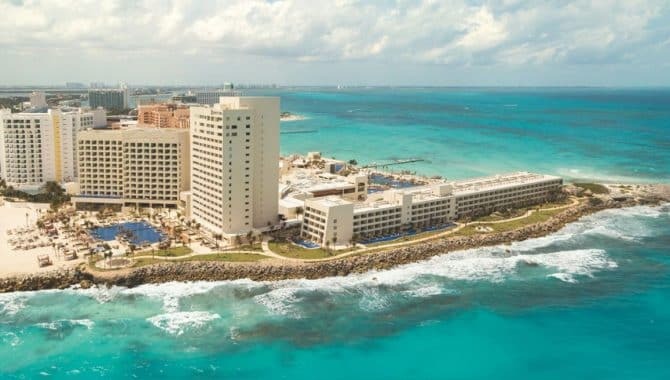 Cancún isn’t all sprawling resort complexes. 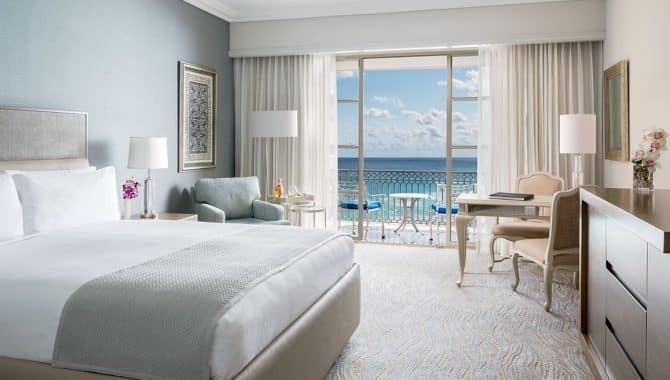 Step into an oasis marked by five-star service, luxe suites, over-the-top amenities and gourmet cuisine at elegant boutique hotels and beachfront resorts catering to a clientele obsessed with quality. 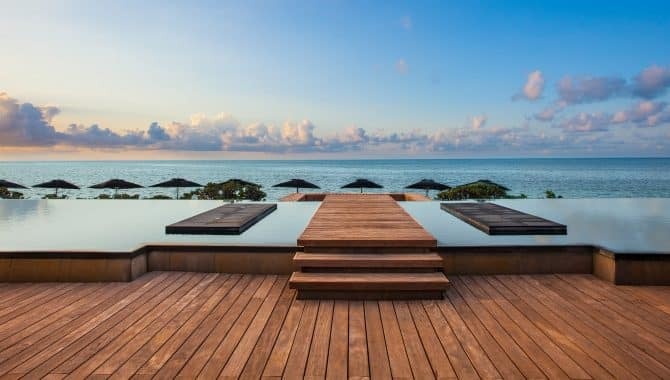 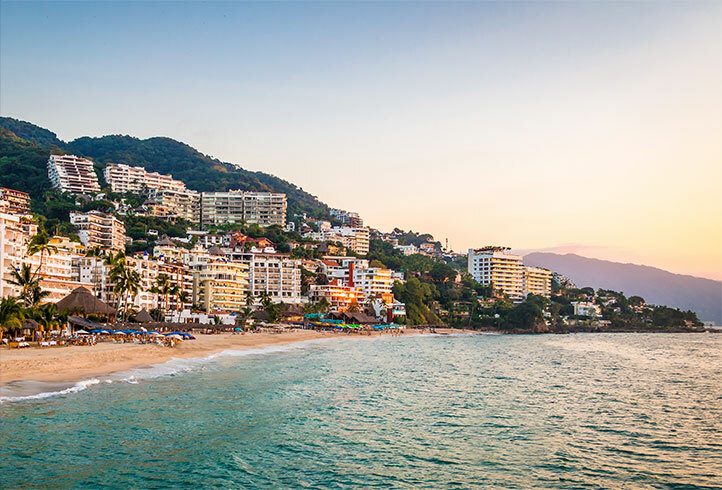 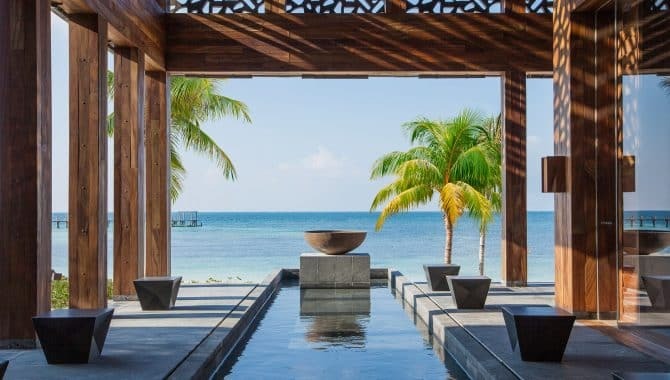 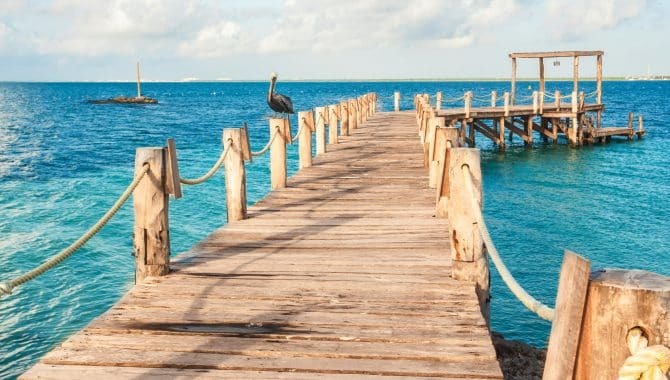 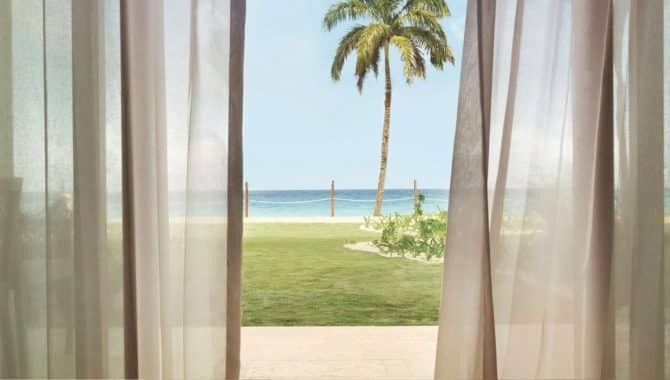 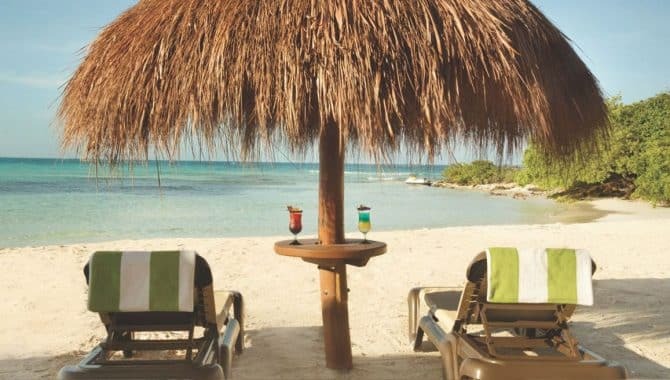 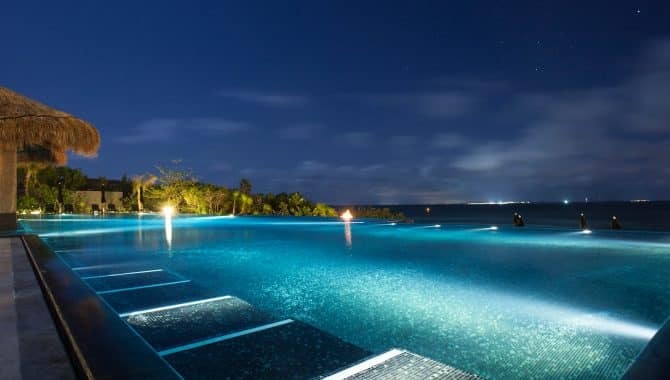 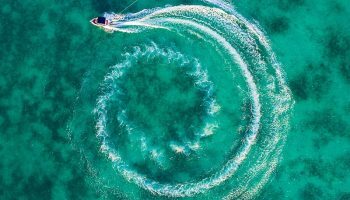 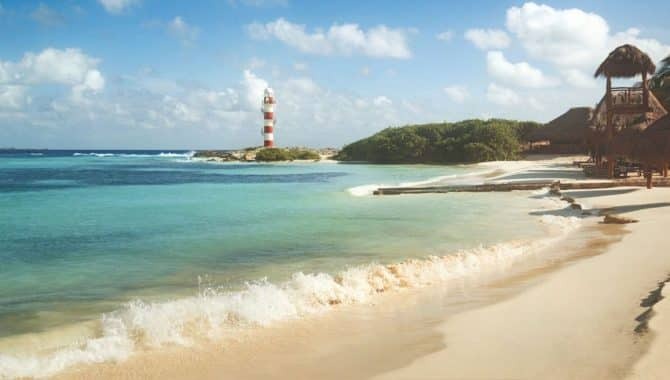 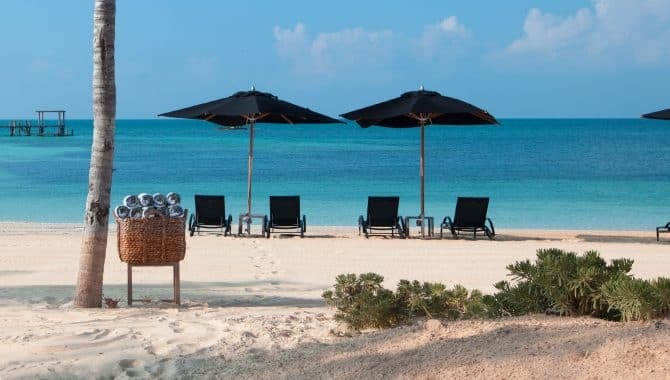 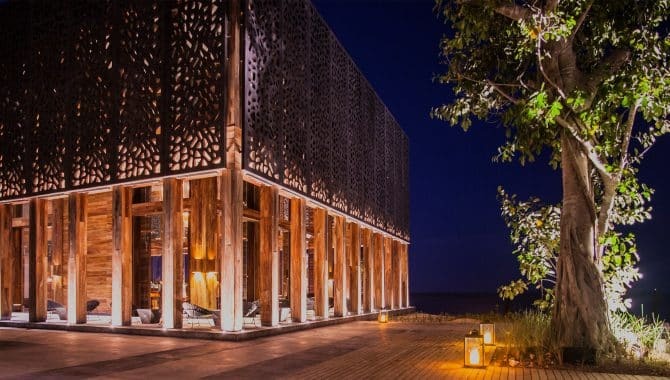 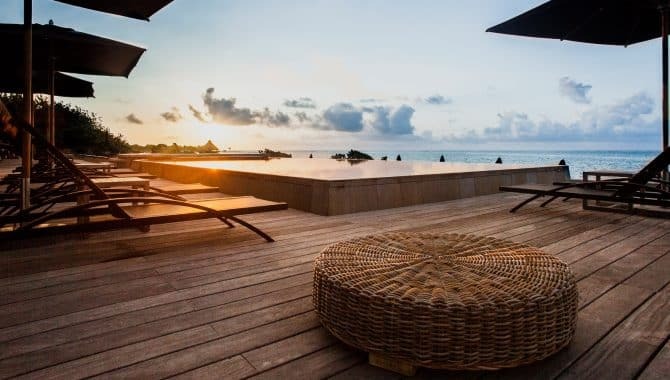 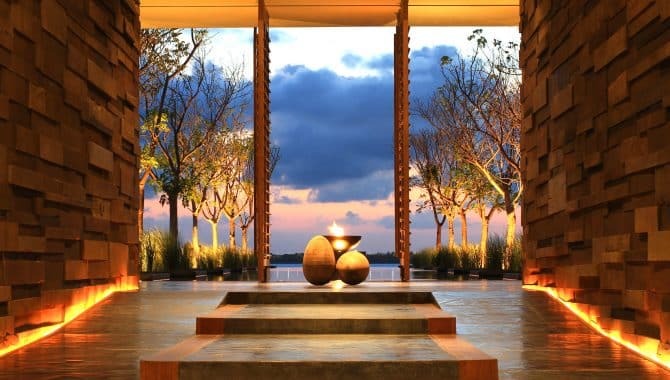 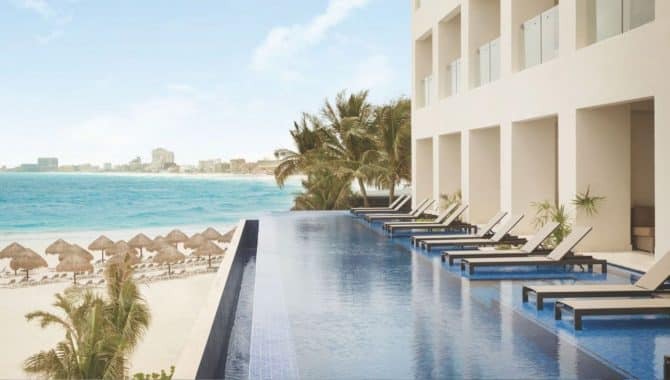 Whether your idea of luxury is Rolls Royce transport to and from Cancún’s top attractions or sunrise yoga led by a guru, we’ve found the ultimate celeb-worthy escapes in an otherwise bustling beach destination. 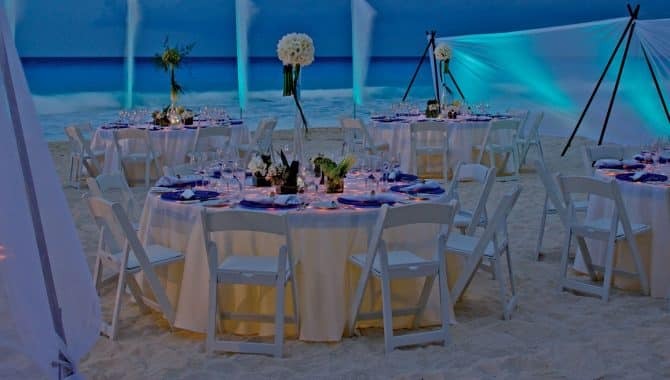 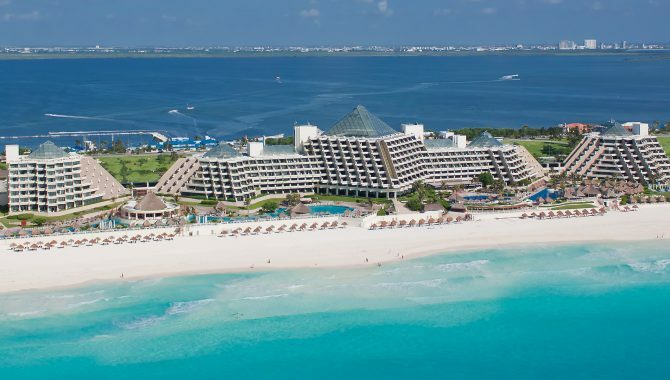 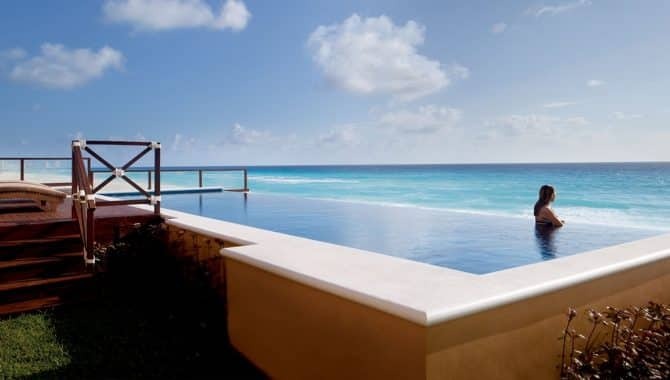 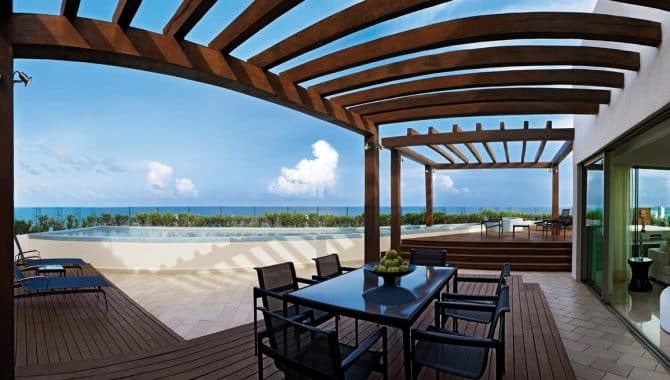 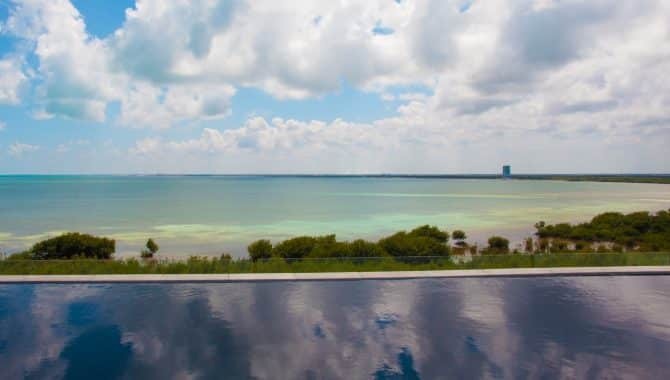 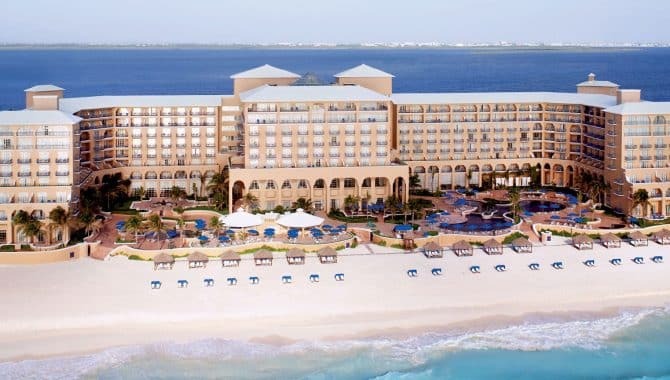 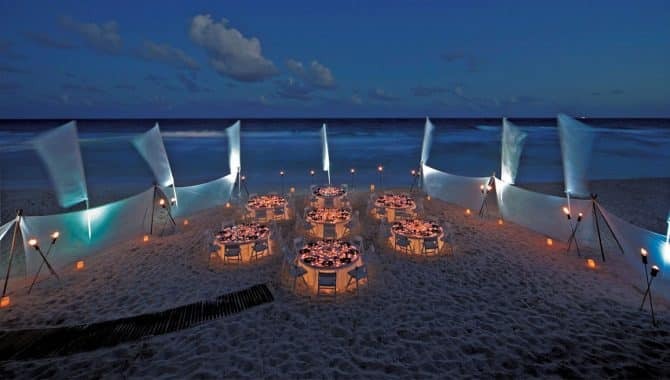 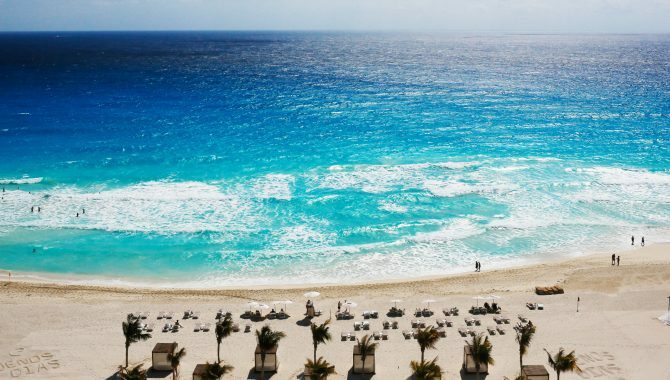 Choose from our list of the best luxury beach resorts in Cancún. 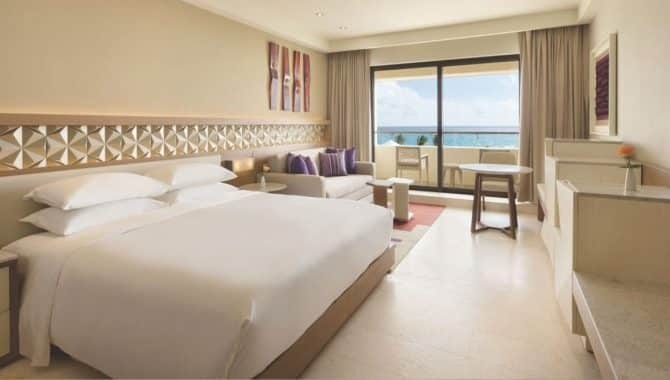 Paradisus Cancún offers the best of both worlds in style with Royal Service for adults and Family Concierge for families. 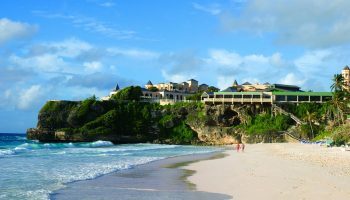 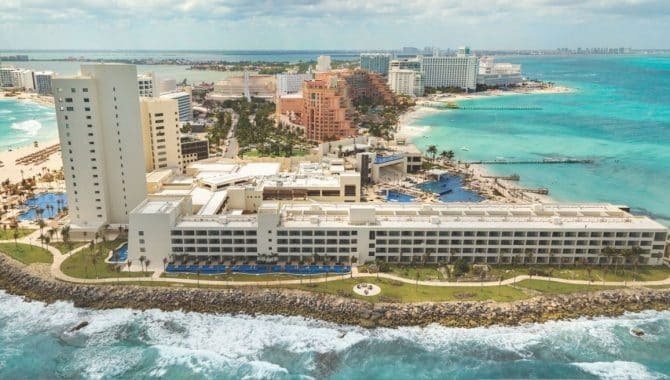 This all-inclusive resort wows at every turn—pyramid structures glimmer and bounce reflections of the turquoise Caribbean sea, a gorgeous green atrium greets you on arrival with vines cascading from the ceiling and butlers attend to your every wish whether in your room or on the beach—even cleaning your sunglasses. 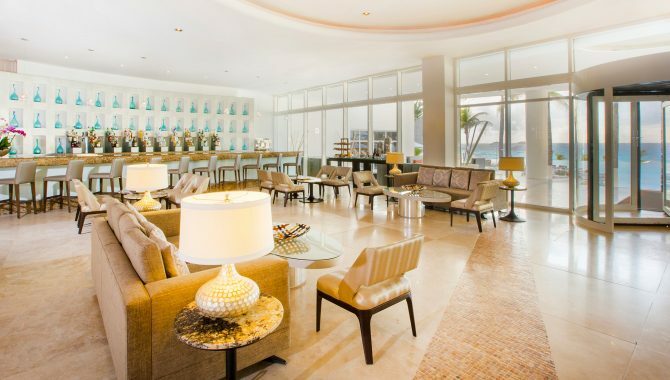 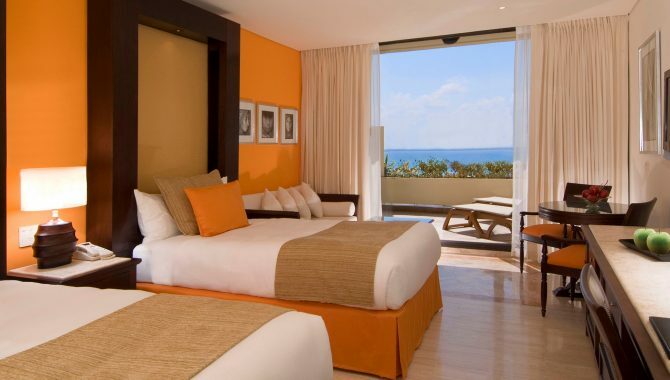 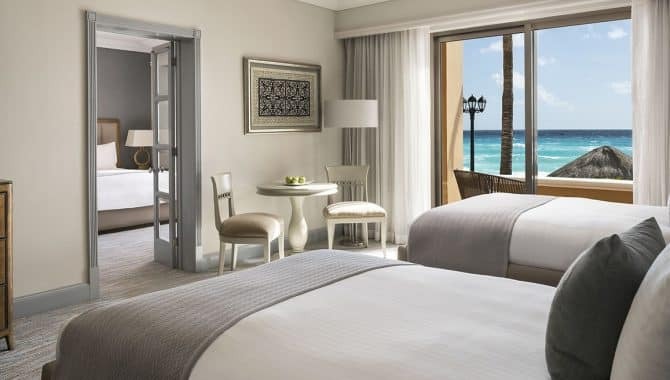 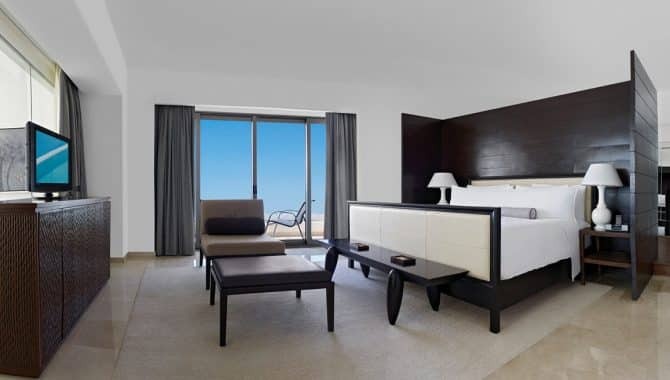 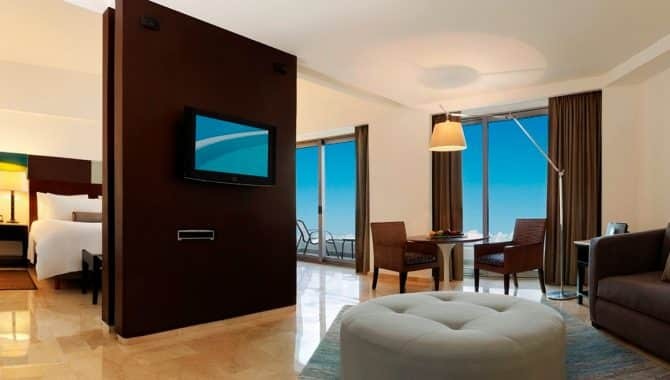 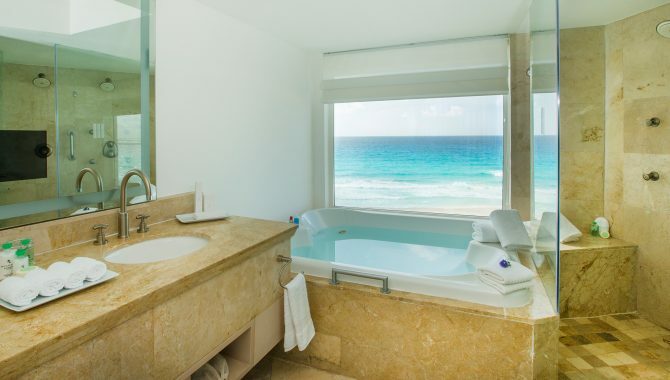 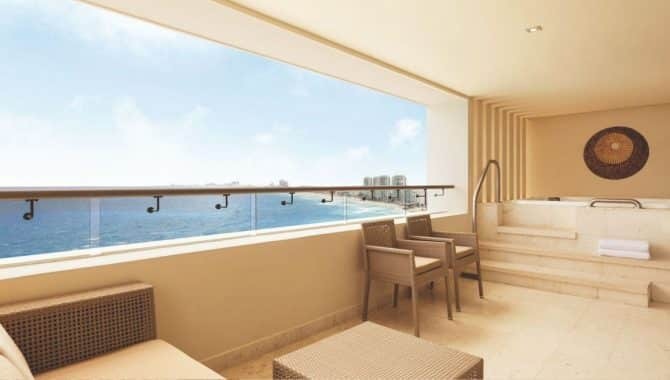 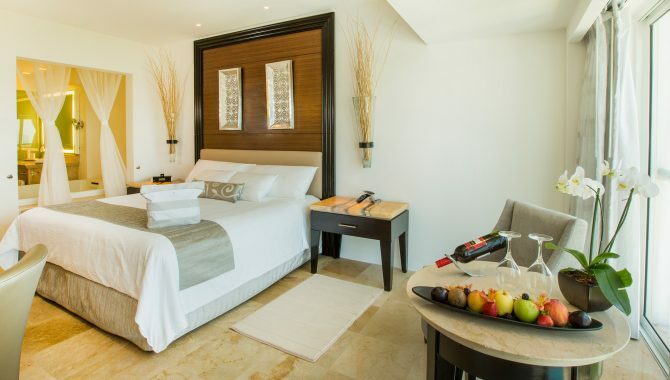 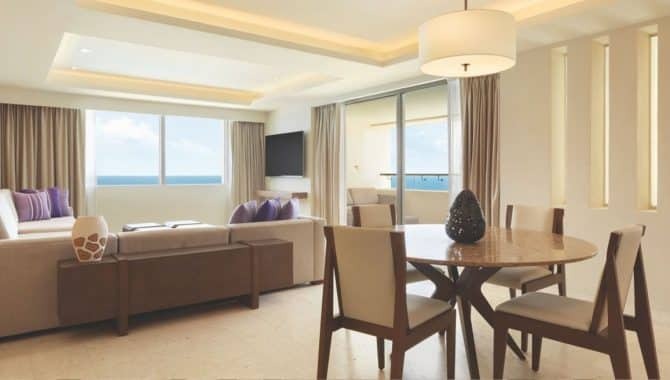 Every spacious room has views of the Caribbean or Nichupté lagoon, warm accents and marble floors. 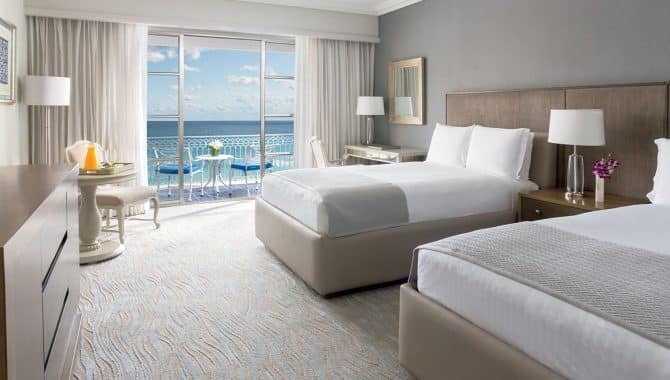 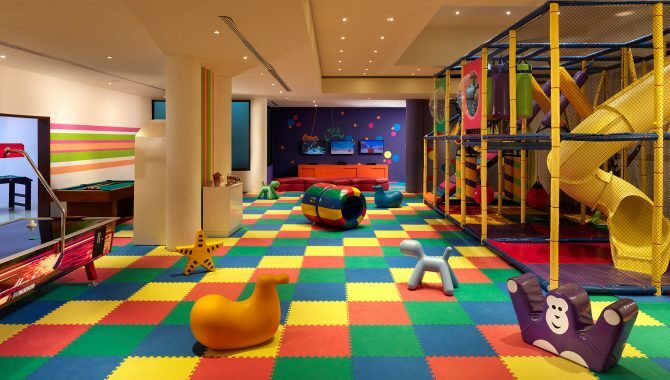 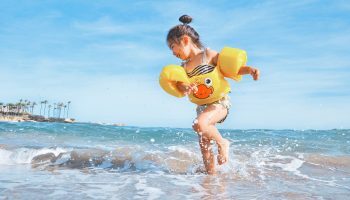 Family Concierge Suites have amenities for parents and children, but we especially love the kids’ perks like robes, slippers, pillows, a beach kit and cookies and milk turndown service. 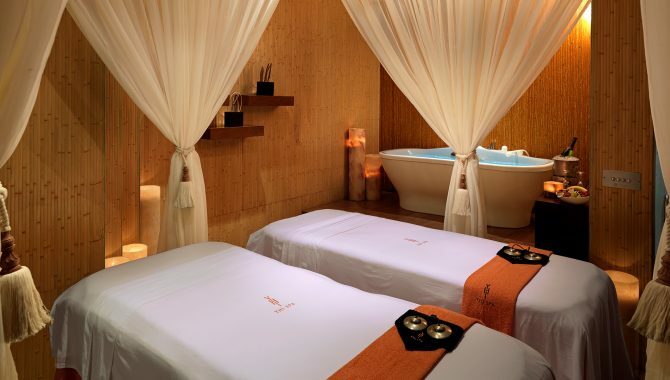 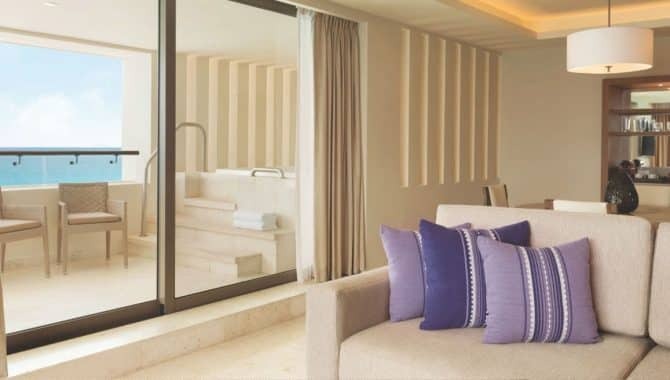 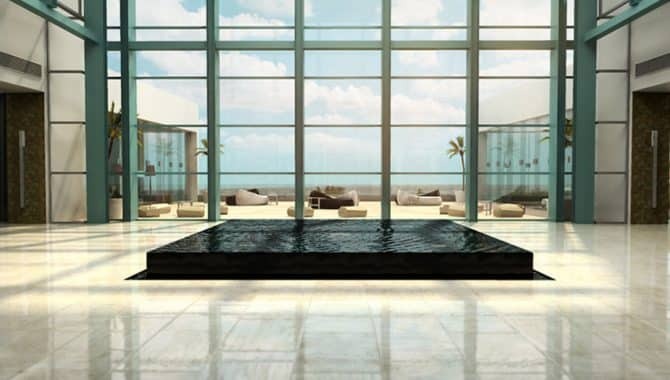 The Royal Service option has adults-only accommodations with luxury amenities, access to a private Royal Service pool with Bali beds and discreet butler service. 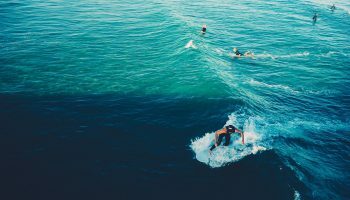 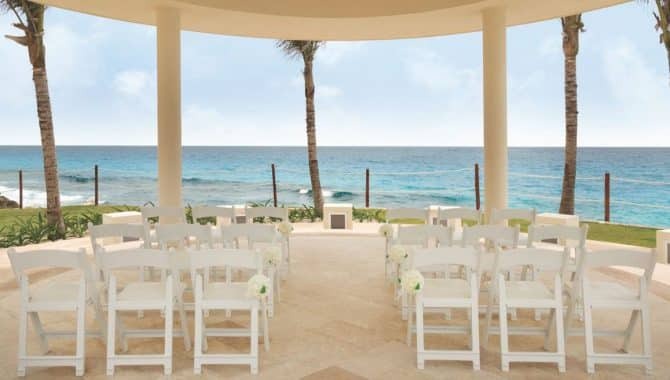 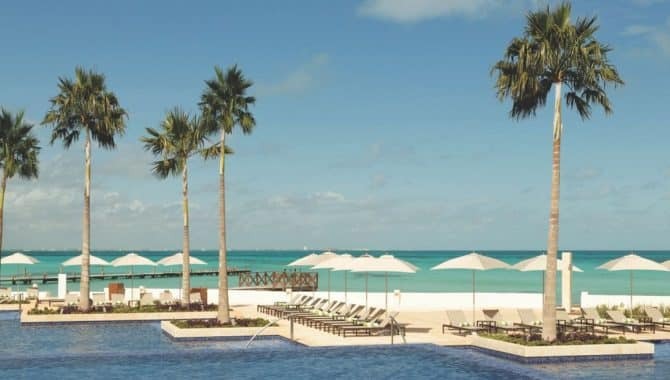 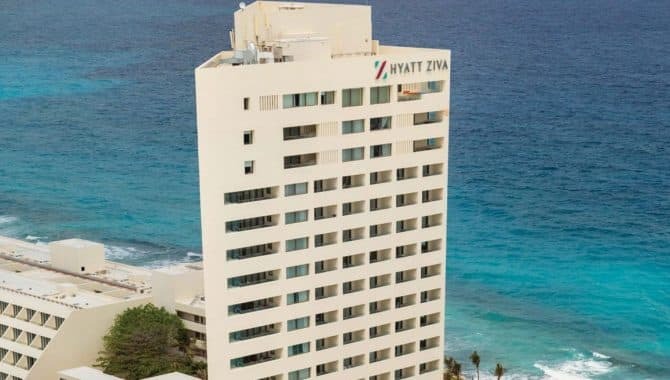 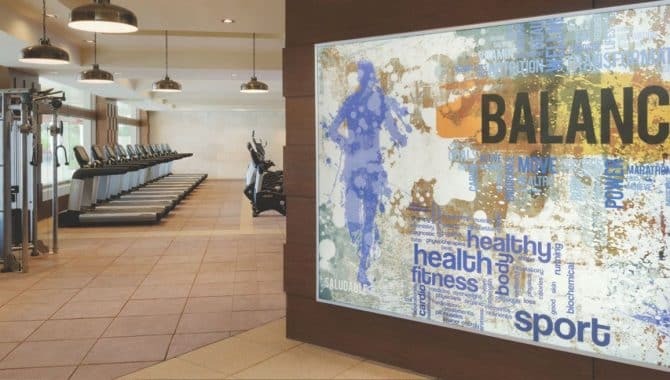 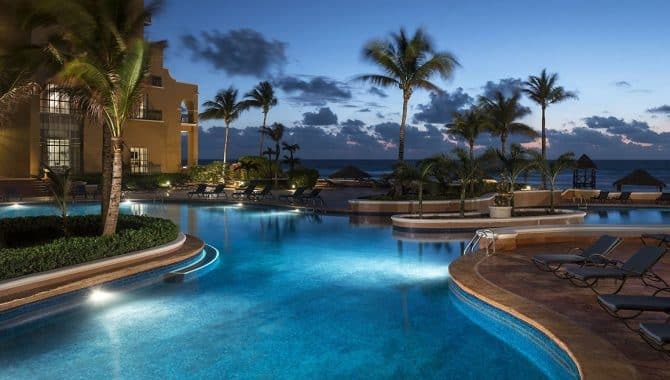 Your all-inclusive package includes use of the gym, fully-lit tennis courts, nonmotorized watersports, kids’ zone, unlimited drinks, day and night entertainment, nine restaurants and seven bars. 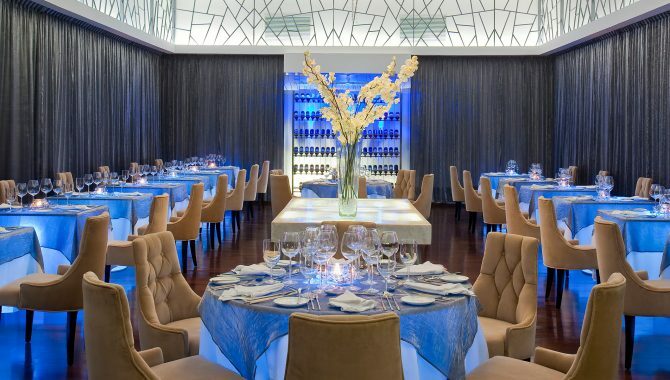 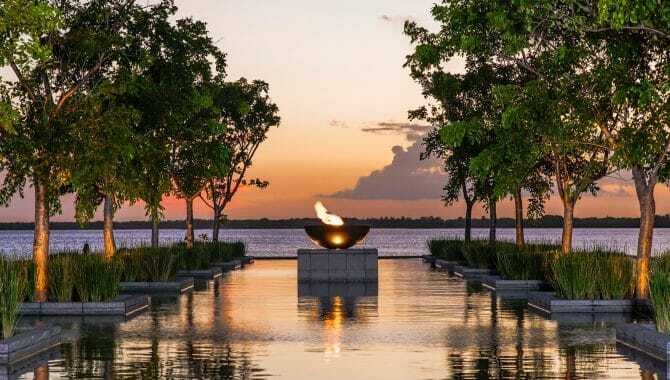 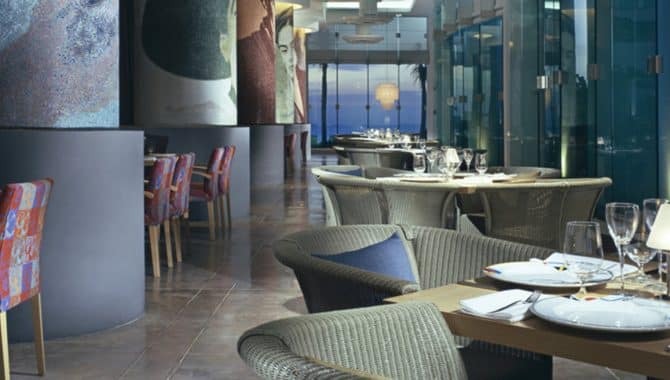 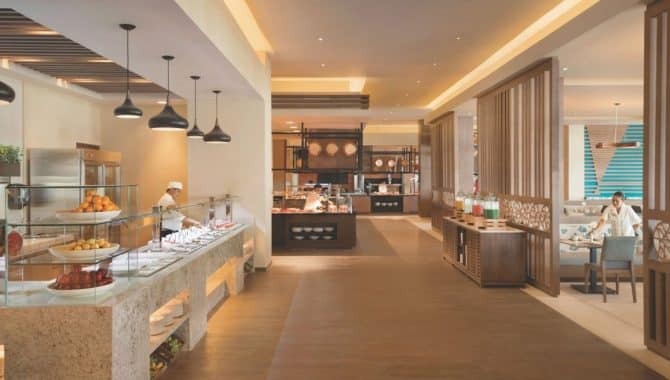 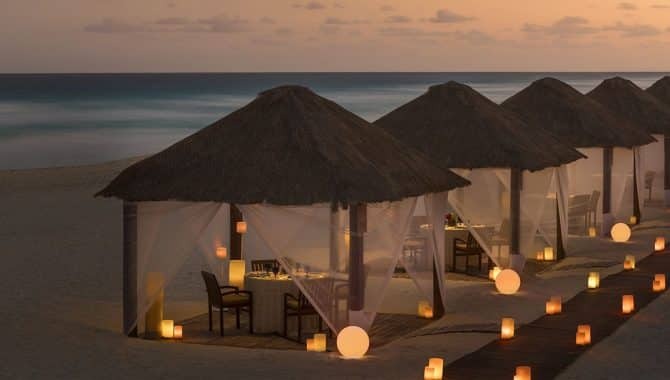 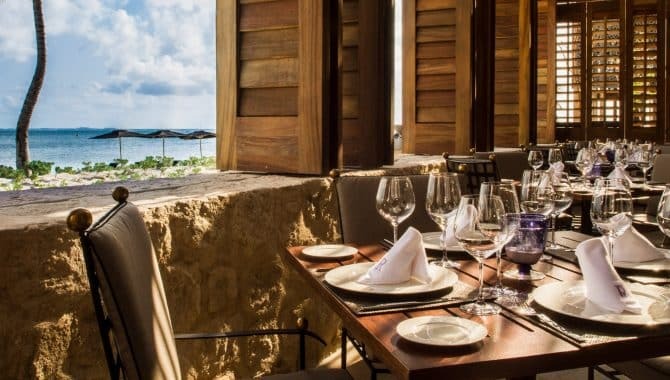 When it comes to dining, Paradisus Cancún goes above and beyond—put on your Sunday best and head to Tempo, the resort’s elegant restaurant by Eight-Star Michelin Chef Martin Berasategui or taste Mezcal at Blue Agave Bar after traditional tacos at Blue Agave Restaurant. 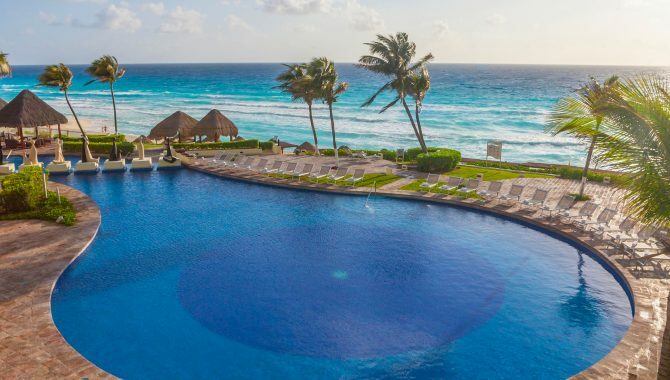 The resort has four pools, along with a swim-up bar and beach bar, so your thirst is satiated whether you’re cozy in a cabana or sunning in the pool. 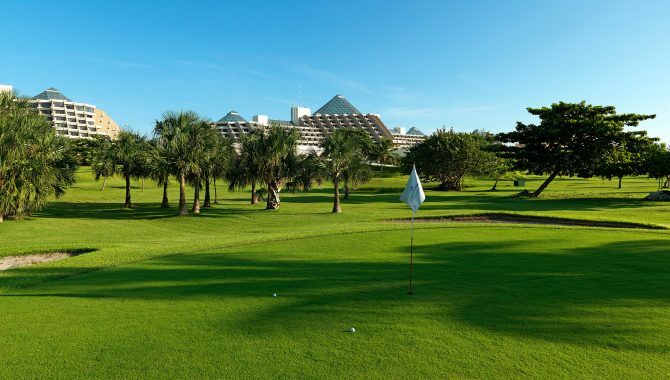 Golfers hit the dance floor—the nine-hole, par three golf course is perfect for a quick round between poolside cocktails and a soothing massage at YHI Spa. 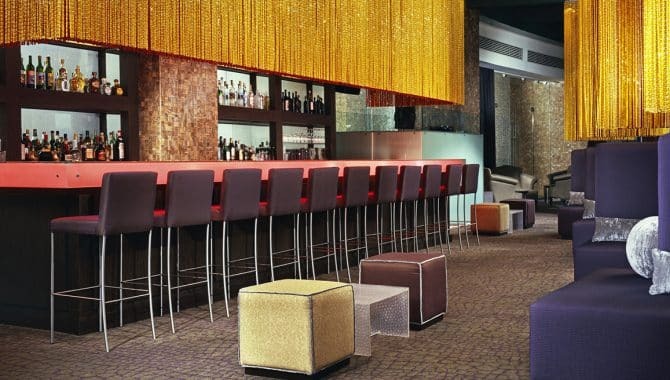 Wedding parties and business conferences have ample space in the convention center with 21 breakout rooms, a VIP meeting room and outdoor meeting options. 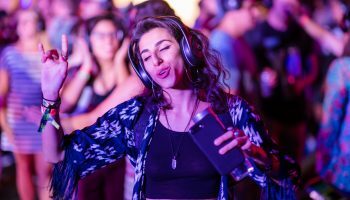 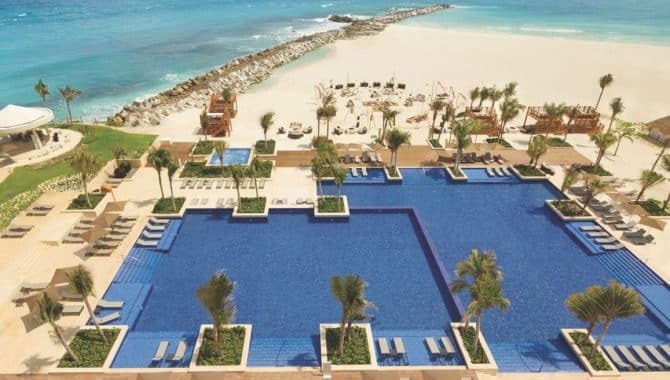 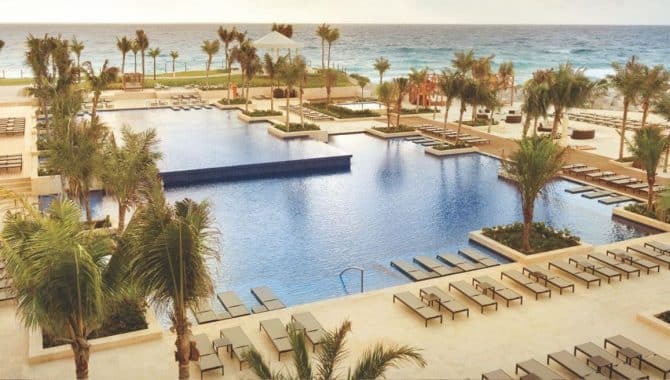 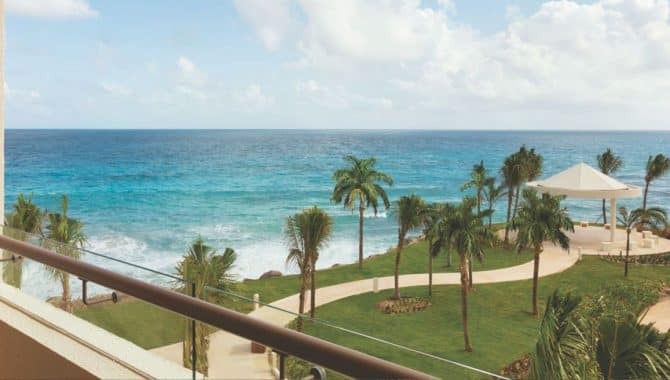 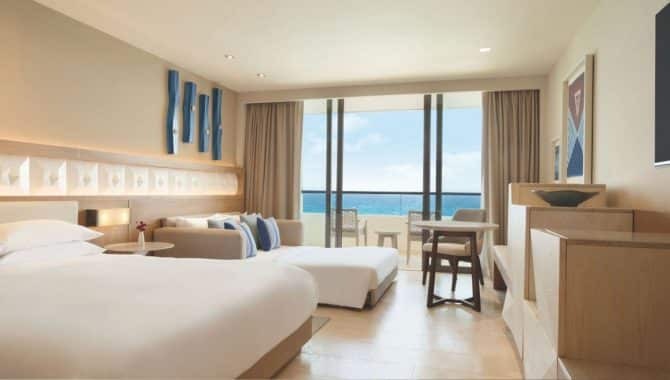 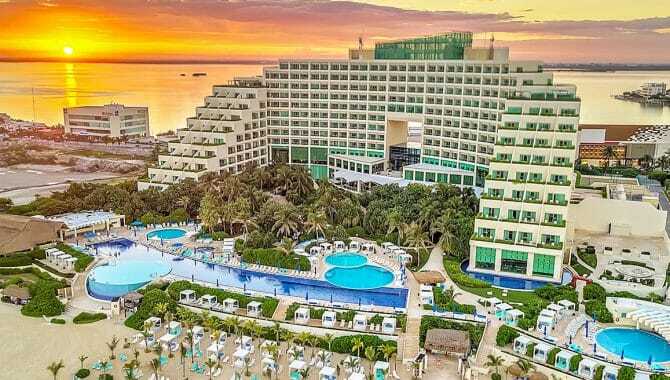 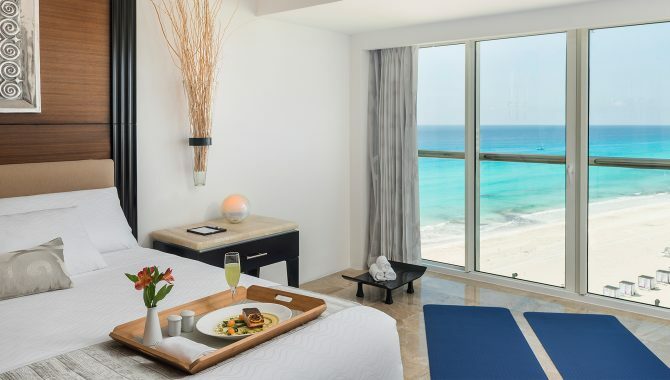 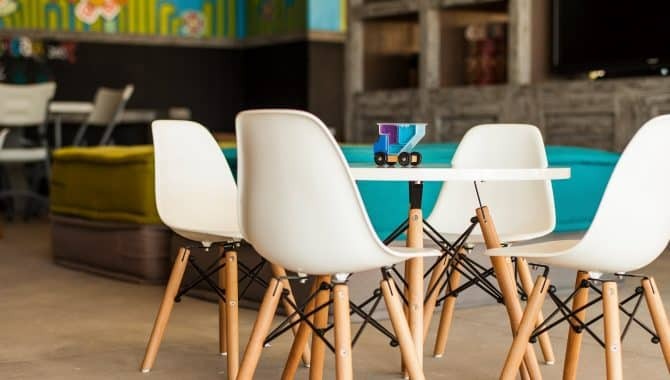 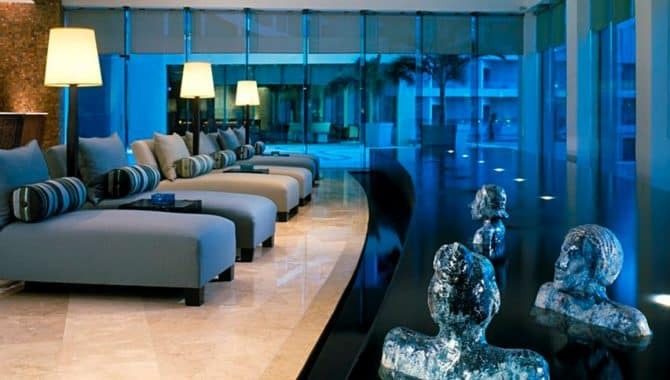 Not your typical all-inclusive experience, Live Aqua Beach Resort Cancún puts a different spin on beach vacations in Cancún’s Hotel Zone with an upscale adults-only property. 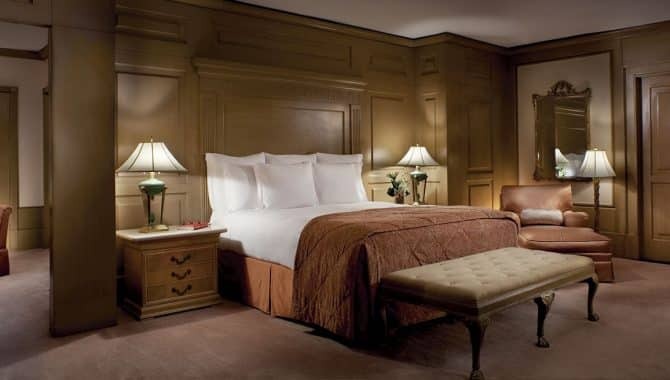 The 371 guestrooms all come equipped with modern and artsy decor, a mini bar and even aromatherapy. 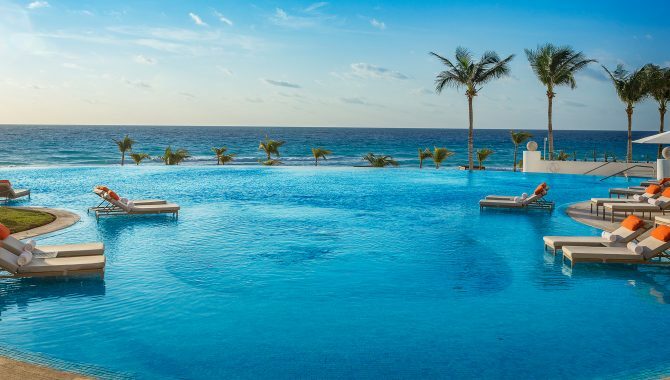 A stunning beachfront makes for non-stop fun in the sun. 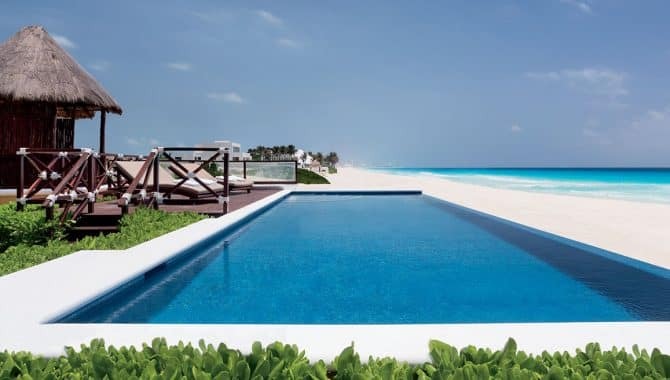 Lounge on a linen-draped cabana beds by the beach or take a dip into the property’s main pool. 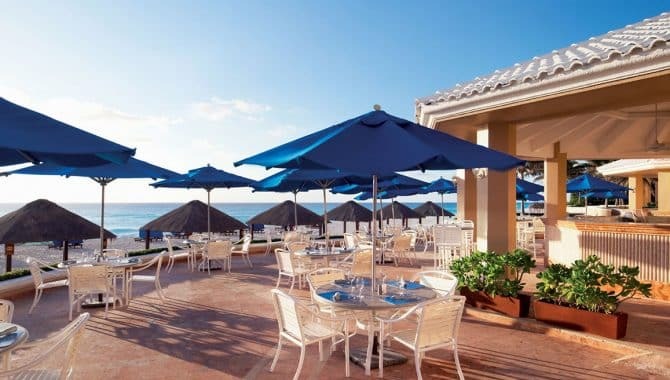 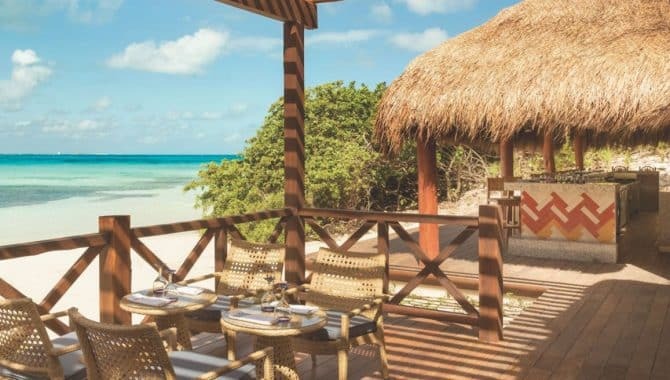 Dine at any one of the resort’s restaurants from Azur, an open-air, rustic eatery, to Inlaakeech Lobster & Grill, which, as you probably guessed, specializes in lobster. 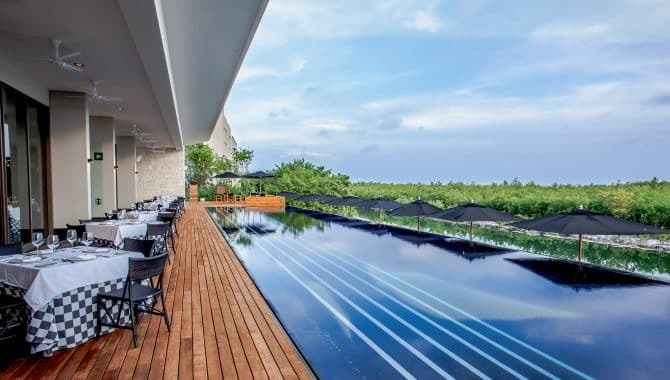 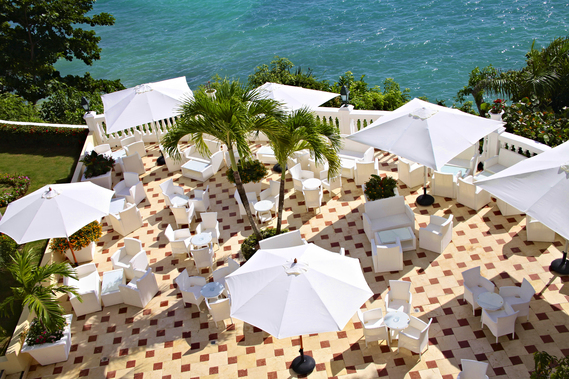 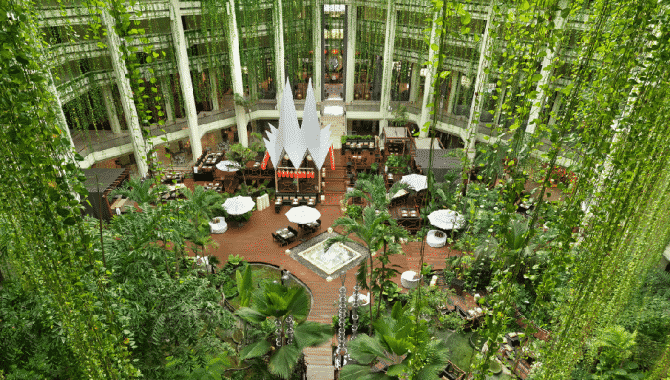 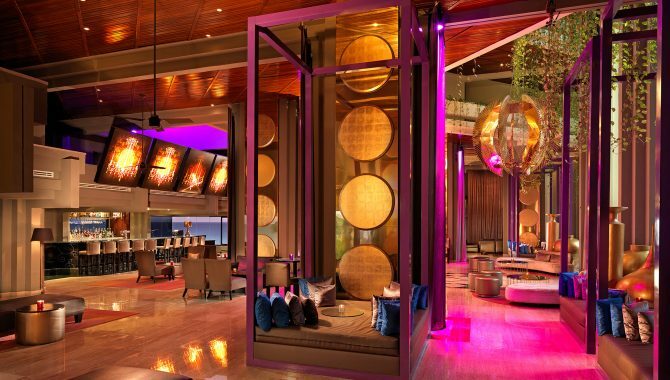 A thriving social scene here, Egos Bar, Akka Bar and the Pool Club Bar are all alive both day and night.